Tonya S. Espy, 42, of Huntington, IN, died Wednesday, Dec. 5, 2018, at 2:45 a.m. at Lutheran Hospital in Fort Wayne. 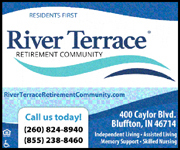 Ms. Espy had attended Huntington North High School and later Ivy Tech in Fort Wayne. She had worked as a pre-school teacher at Headstart for many years. She fought cancer for seven years and was active in Relay for Life. She was born Oct. 19, 1976, in Huntington to William F. and Teresa M. Caley Helwig. 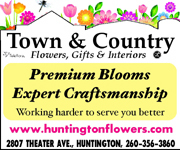 Her mother, Teresa Caley, survives in Huntington. Additional survivors include a son, Dakota Espy, of Marion; two daughters, Autumn Espy and Victoria Pinion, both of Huntington; and a brother, Ronny Stolte, of Huntington. Calling is Sunday, Dec. 9, 2018, from 2 p.m. to 3 p.m. at the Myers Funeral Home Huntington Chapel, 2901 Guilford St., Huntington. A funeral service will be held immediately follow at 3 p.m. at the funeral home. Interment will take place at a later date at Star of Hope Cemetery. 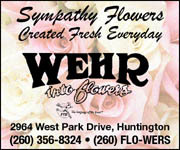 Memorials are to the Espy family, in care of Myers Funeral Home, 2901 Guilford St., Huntington, IN 46750. 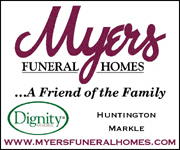 The online guest book may be signed at www.myersfuneralhomes.com.